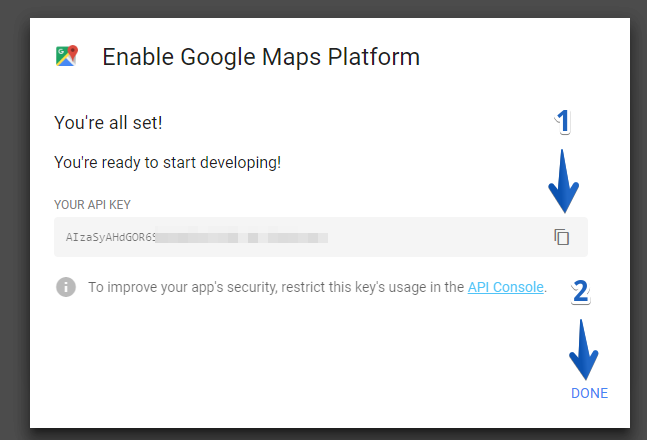 Google has updated its maps usage policy. 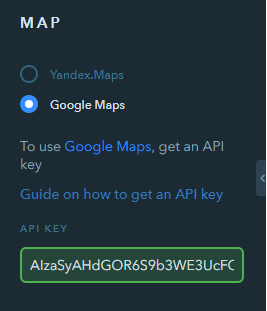 Now, in order to add a map to your website, you need to get an API key and specify it in the settings of the Map widget. 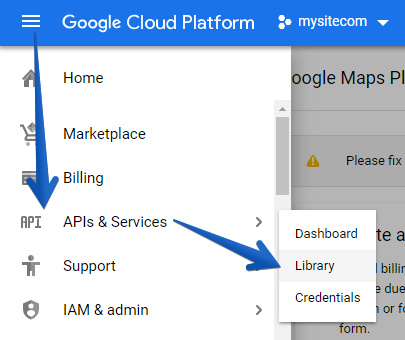 To receive the API key, go to Google Maps and click on the Get started button. It will bring up a pop-up window where you will need to create a new project. We recommend using your website domain without a dot as the project name as it only allows Latin letters, numbers, spaces, and hyphens to be used. 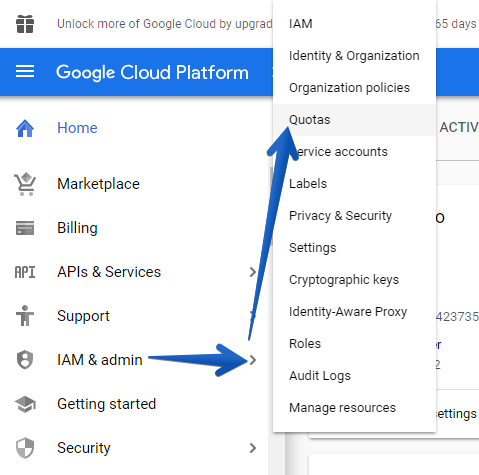 Later on, the project will be listed on Google Cloud Platform under this name. Next, fill out a customer’s address and bank card details. 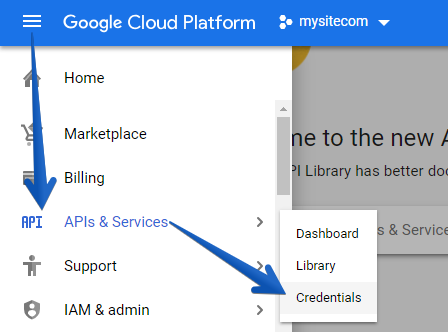 This information is requested by Google in order to verify your account. To check the card, Google will deduct $1 from your account and return it back to your card within an hour. The system will give you a key - сopy it to clipboard and click on Done to close the window. 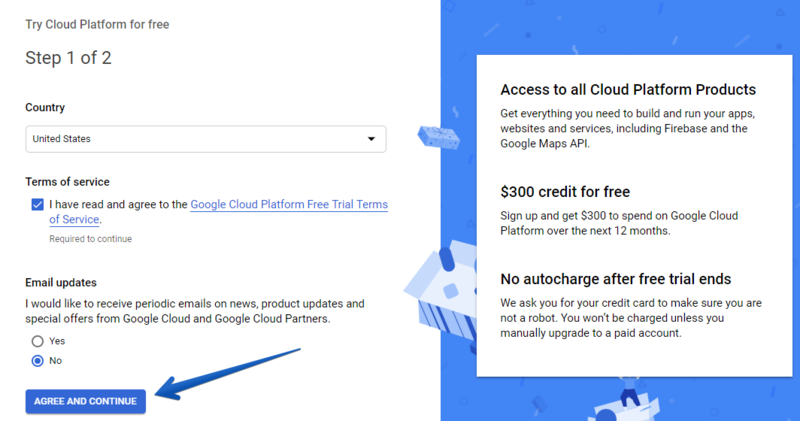 You will be provided with a $300 free credit to your Google Cloud Platform account which can be spent within 12 months. 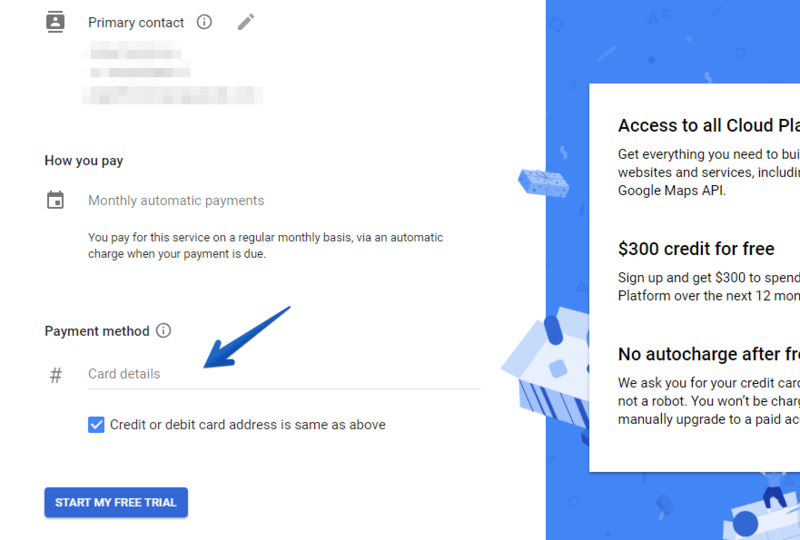 If you exceed the amount or the period of use is off, the free trial will be over and Google will ask you to activate the paid subscription. 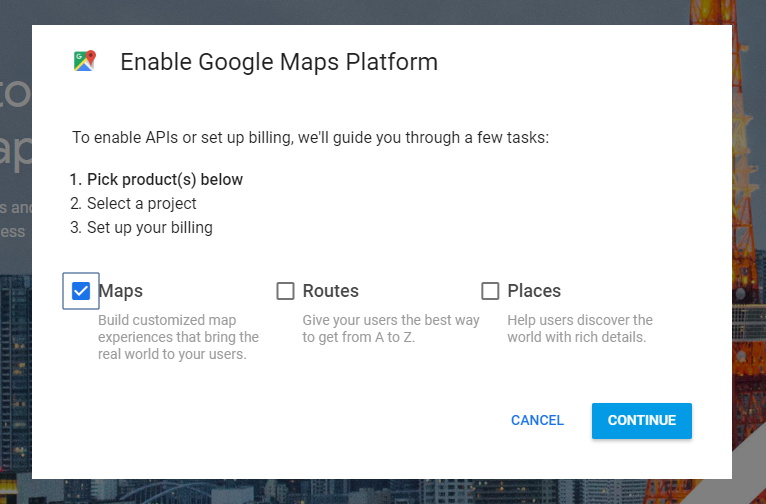 The money from your account will be spent on downloading maps on your website. 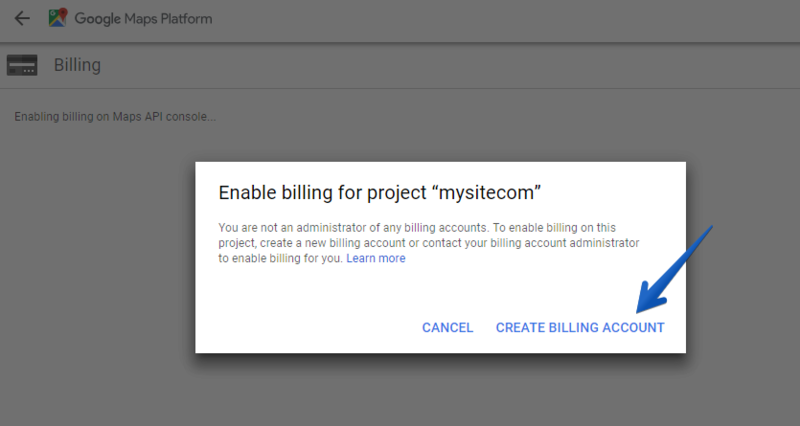 Google has imposed special rates and limits. If you don’t exceed the limit of 100,000 map views per month (when someone visits a page with a map, it equals 1 view), the cost of 1000 map views will be $7. More information about the plans can be found here. 18 people found this article helpful.